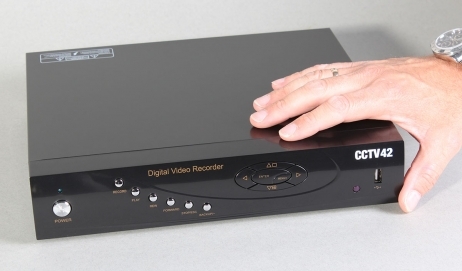 This full function 8 channel DVR will handle anything you might want to throw at it. The latest compression codec maximises hard drive storage time without compromising image quality. Full D1 resolution, remote access possible using PC, Mac, mobile phone or tablet (iPad). Remote access gives live streaming video as well as access to previously recorded footage and the ability to make settings changes. 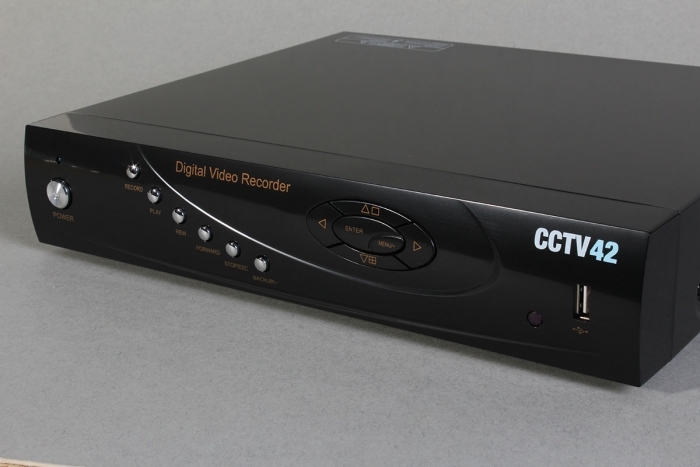 This final feature allows us to offer excellent after sales technical support, so often the downfall of CCTV DVR recorders. Functions include the ability to set up motion triggered recording and bookmarks, email picture alert, PTZ control, scheduled recording to maximise storage times, individual user access rights (some people might need to access footage but you don't want them to be able to make settings changes). 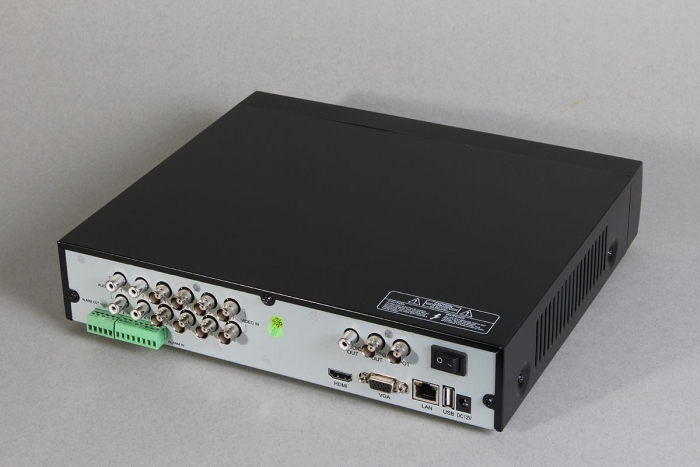 Secure log in to prevent unauthorised access, real time D1 resolution recording, output via VGA, HDMI and BNC analogue connections as well as an RJ45 network outlet point. Clear on screen graphics based menu for ease of operation and supplied with a wired mouse (wireless mouse available as an optional extra). Dual band streaming improves performance when accessing over the cellular network or when using low speed internet connections. Quiet fan free operation made possible by hard drive selection and thermal dispersion chassis. Make back ups from recorded footage using either a USB memory stick or network connection. 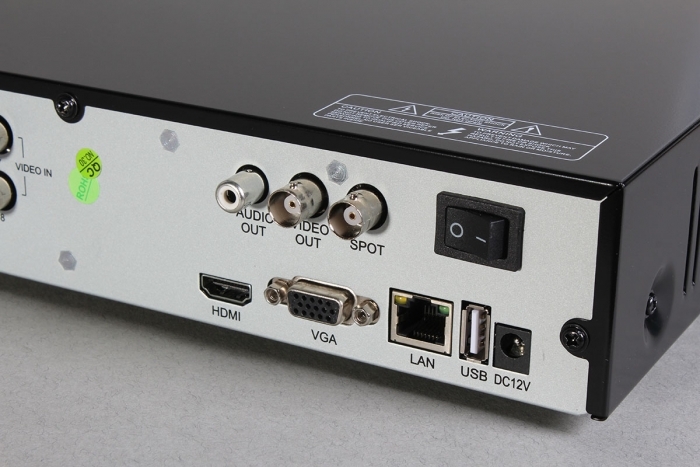 Storage options can be found under Accessories for DVR Recorders. 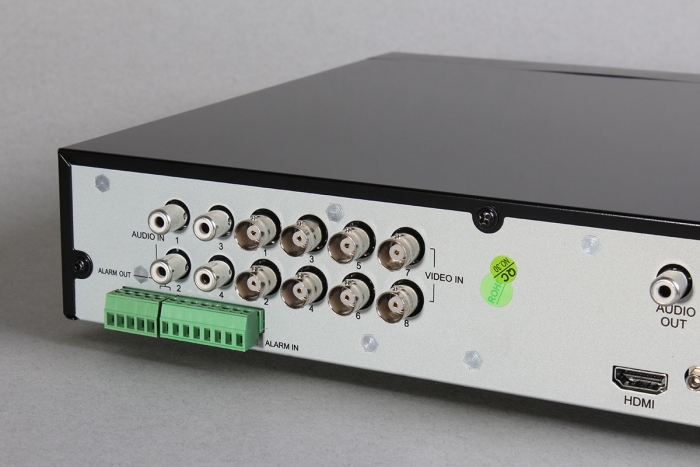 As with all our DVR recorders we offer full technical support throughout the life of the product. 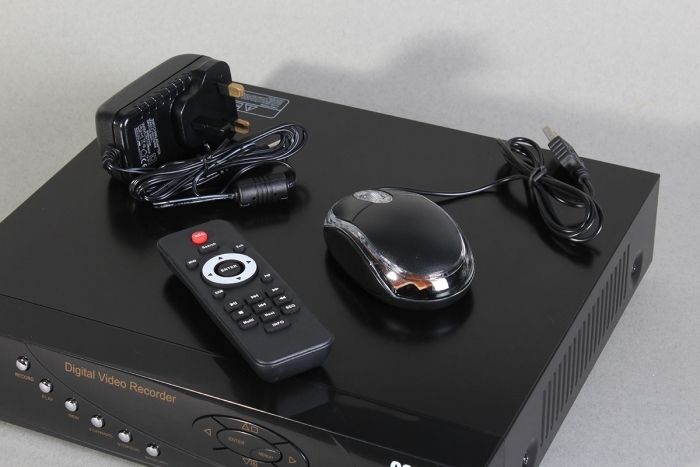 Make sure you have a read through our DVR buying guide to fully understand the various features of a CCTV DVR recorder and what to look for when choosing the right DVR for your CCTV system.